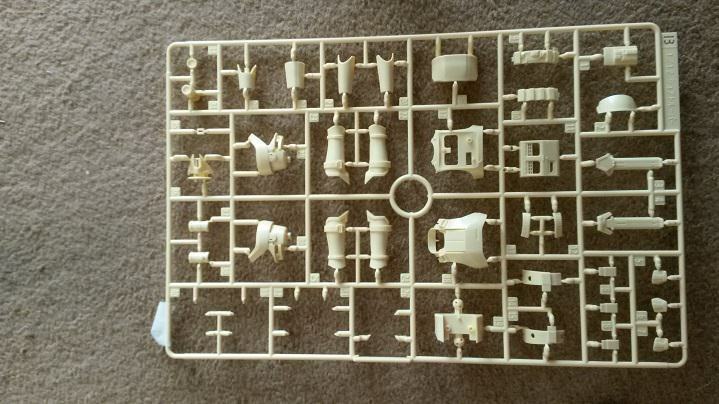 Good Morning everyone today is the start of the Bandai building Campaign and below is the kit i plan to start building soon, the Rogue One Shore trooper. 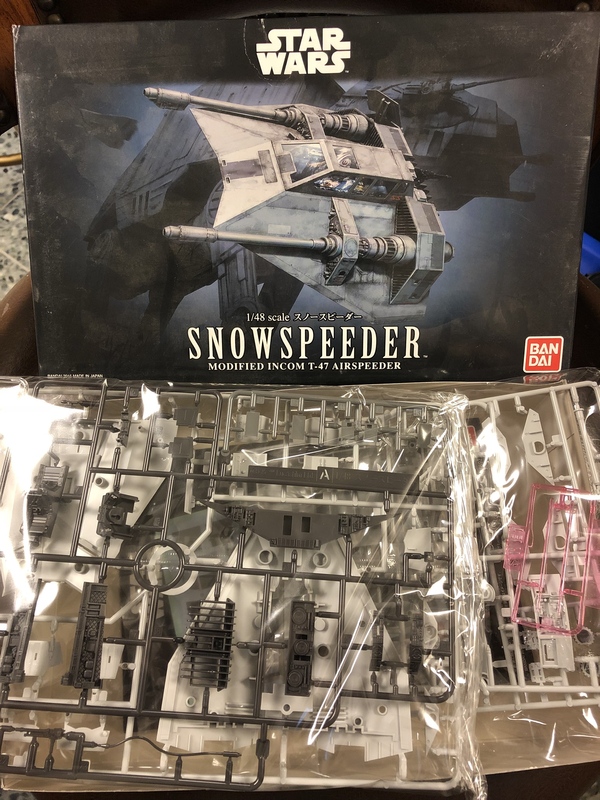 Here is my kit for this campaign - the Star Wars snow speeder. Looks to be an easy build, but we will see. I'll start with the two Combat Assault Tanks and work my way up to the U-Wing fighter. This looks like a great kit with 4 models in the box: U-Wing Fighter, Tie Striker and two Combat Assault Tanks. 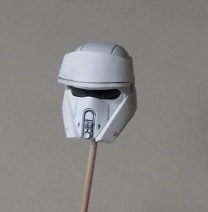 We'll see if I can paint a tiny 1/144 scale Stormtrooper. 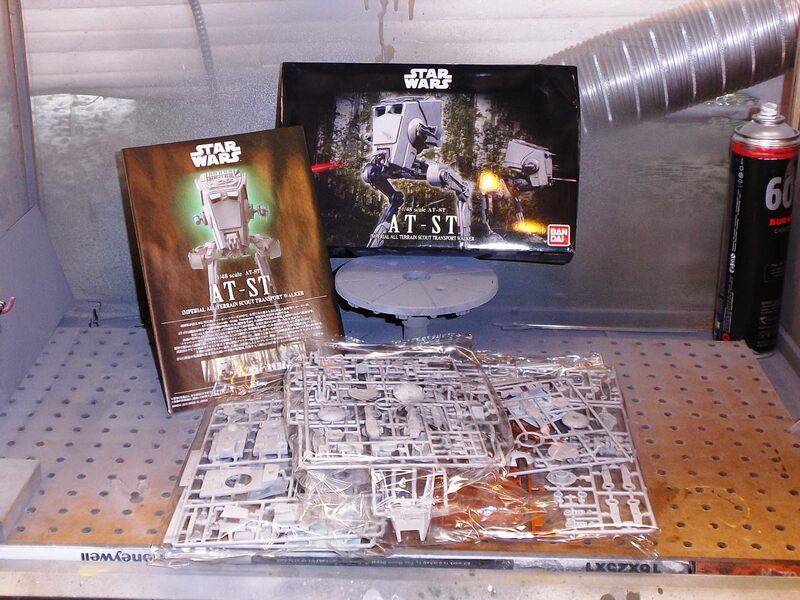 Bandai AT-ST in 1/48th for me. Pictures to follow. I'll get going on this before long. 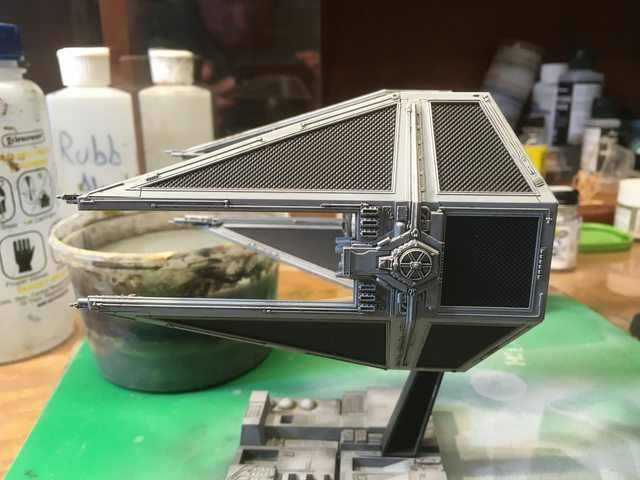 well now that i have finished the Hanuebu i can get to work on my other projects including the imperial probe droid which has stalled as there is a lot more clean up on it and i am trying to order replacement parts for it. 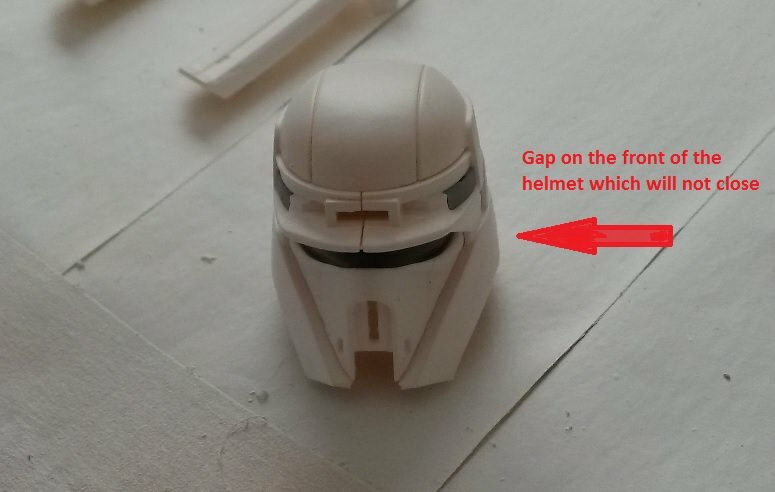 so the converted shore trooper has finally got off the starting blocks and i have hit a small snag, the front of the helmet doesn't quite interlock. i guess i could plug the tiny gap with some filler but i need to make sure it doesn't effect the goggles. 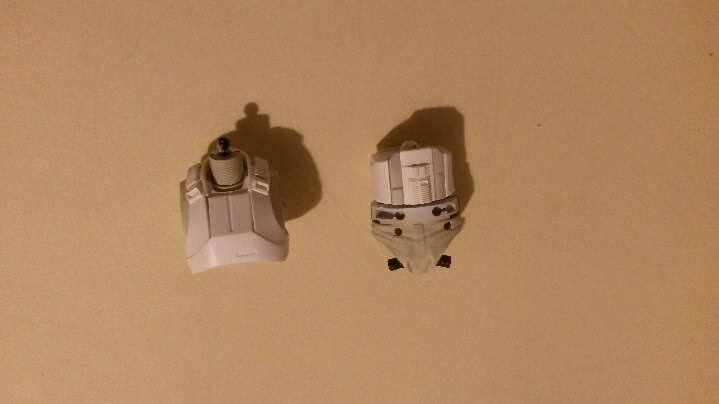 ok so i have now managed to fix the helmet and i have now completed the head section of this figure. 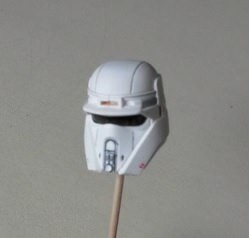 The plan is to re-paint the shore trooper white which is what you can see in these pictures and make him an Imperial Snow Sniper. 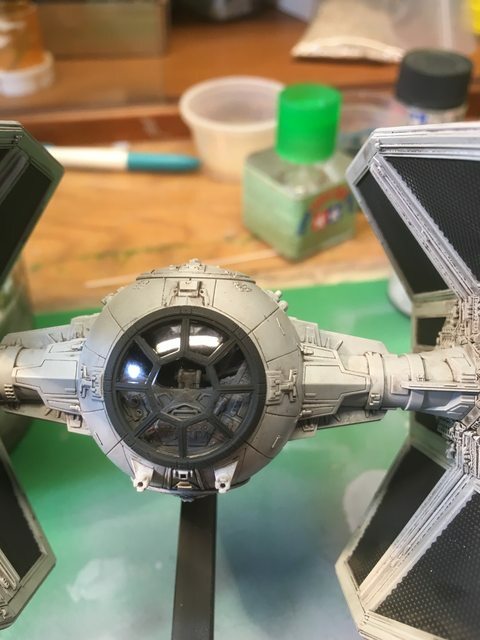 Again i used my 0.5mm manual pencil to do the panel lines as using enamel or oil washes has a very negative effect on bandai plastic star wars kits, there have been numerous posts about it over the net that using solvents such as white spirits or turps makes the plastic exceptionally brittle... this i can attest to personally. picture one shows the head section completed but without the upper section attached. picture two shows it as being attached now. 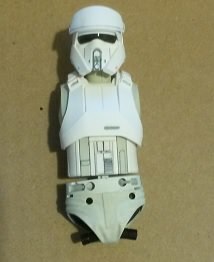 sorry for the poor picture quality but you will get the idea that i have now assembled the torso and groin section of the kit and i am now going to start to detail it a little more in the same manner as i have done with the helmet section. 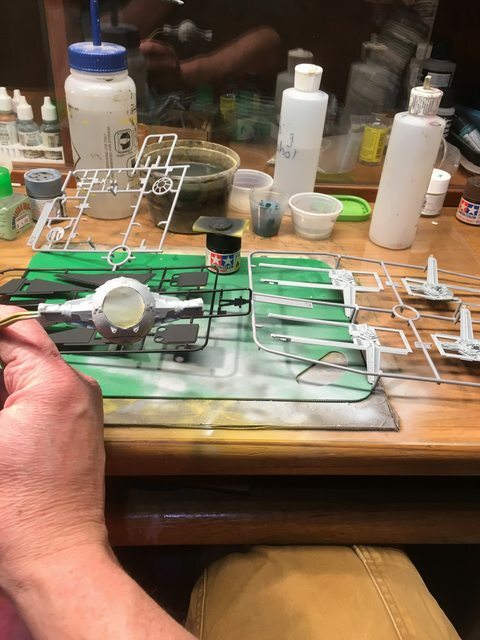 there is a section of cloth that comes wit the kit to make a skirt like feature but despite all attempts to paint it white it resists all paint types, i have tried using car primer paint as well as acrylics and the paint seems to just bounce off of it. I suspect i will need to replace it with some plastic or vinyl sheet. ok, so i have completed and painted the torso as well as the groin area and have attached the head so you can get an idea of how is going to look. 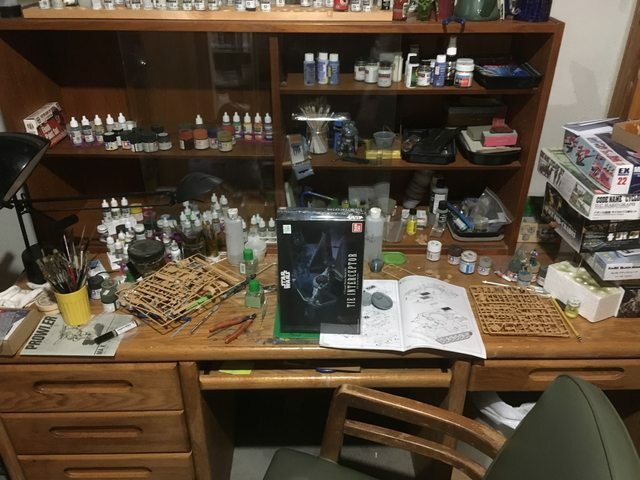 All right gents, I'm going in. Actually the Mount Mansfield Vt Club does a Turkey shoot 4-day start to finish build 'challenge' and I'm double dipping here. 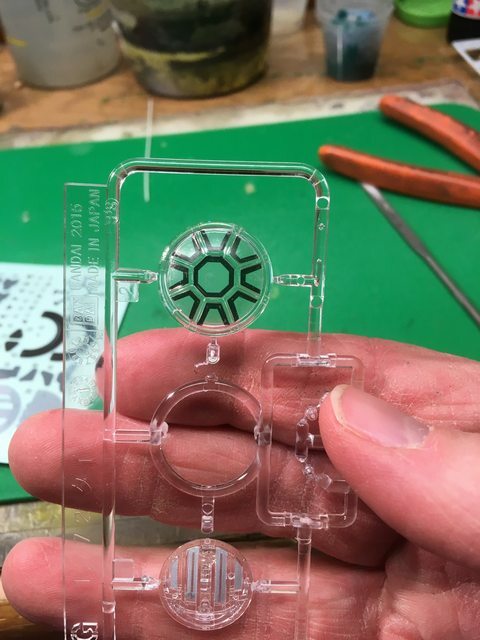 The kits got viynl stickers instead of some decals and in the fine tradition of 'there is a fine line between extreme laziness and moderate cleverness' I'm using the negative spaces from sheet to mask the glass. In a perfect world, I'm done masking now. 2hrs of bench time tonight and the fuselage is built and base coats are on. Waiting for paint to cure now. 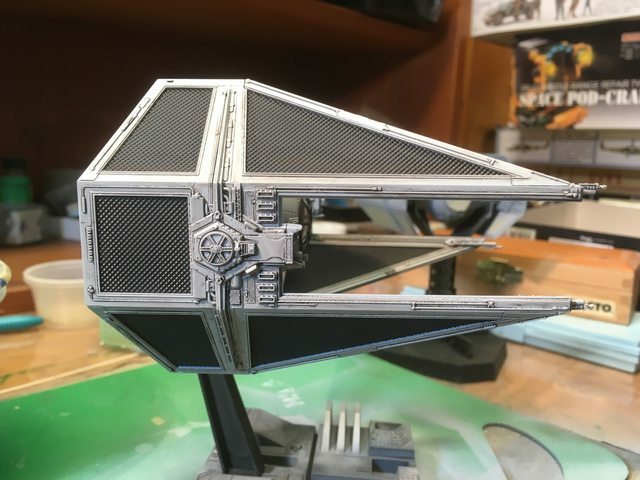 Vallejo Air RLM light blue/grey is my go to for Imperial ships. A 'little' more blue than light ghost grey. Might tag along on this one,I have the small Millennium Falcon and K-2SO to build and paint but will have to wait till Christmas to start. 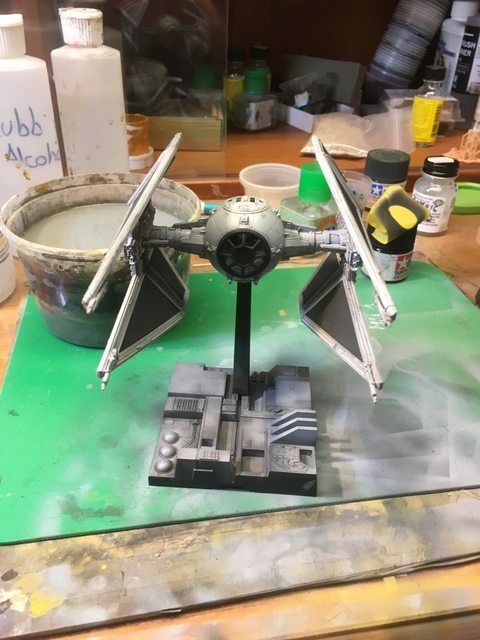 found a lot of time this weekend and finished off the Tie Interceptor. 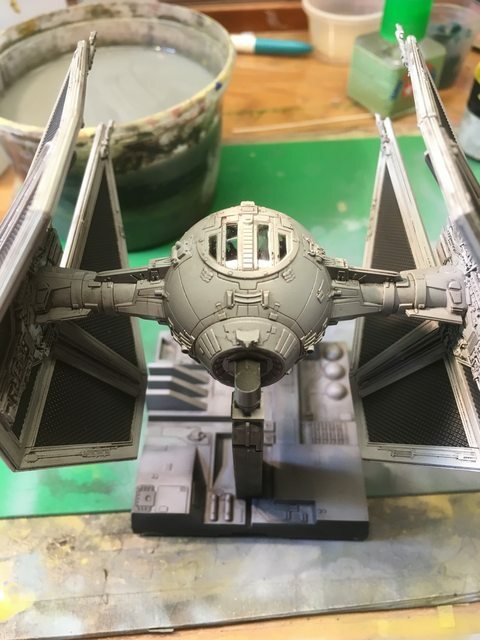 The negative masks from the stickers for the canopy framing worked great. A little Mig dark wash for weathering and stick a fork in this one, it's done. 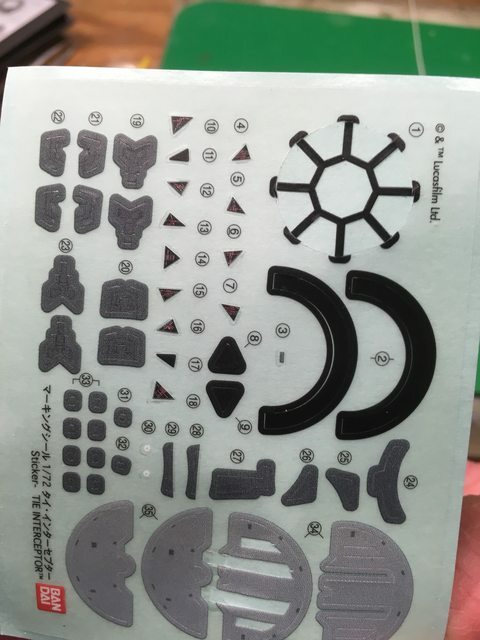 But the 'scale' here doesn't match up with the 1/72 Fine Molds Vader Advanced Tie even a little bit. I've got the Bandai interceptor in the display case, I'll post a pic of the two side by side. The difference is pretty noticable. I'm having trouble finding the campaign gallery in the model geek section of the gallery. It's not in campaigns and the star wars folder is from a older star wars campaign. Is the gallery not up and running yet? that is a great idea (negative space) I can't wait to try this out... thanks - looks great so far! The central pane of the front window is a perfect fit. The upper hatch 'flat' ends and the curved outer edges of the front window need cutting, but connecting the existing corners is not too difficult. If a shakey coffee-addict like me can manage, most anyone else can too. I have the devils own time managing the gallery and photo posting here in general and just wanted to make sure I did not miss anything. I'm all subscribed here and will put the pictures in when the gallery is up. 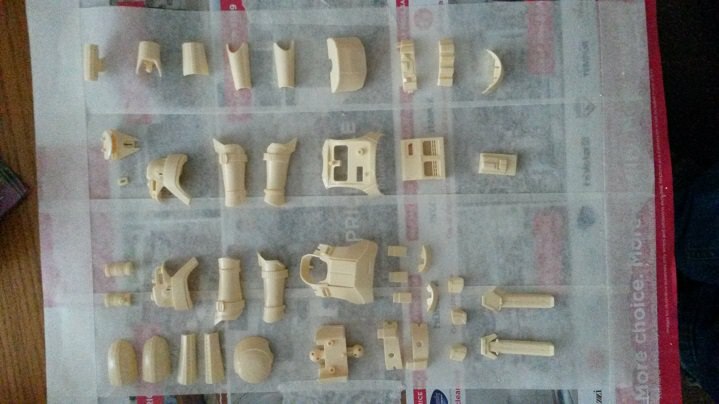 Got my 2 Sandtrooper kits today but waiting for some model tools to come before I make a start. My pics are up in the gallery. Thanks! 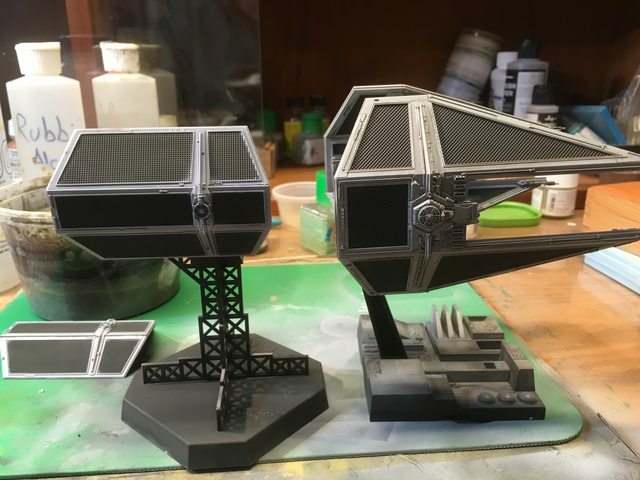 I still have to post a side by side with the old FM Interceptor.